The camp started off with a bang with MC Chum stepping in for the rest of summer. During the morning rally the entire camp sang happy birthday to Stingray Shelby and enjoyed some Krispy Kreme treats to celebrate. The activities were extreme today, including a game of dodge ball between the Shark and Stingray cabana and some sky high jumping on the trampoline. 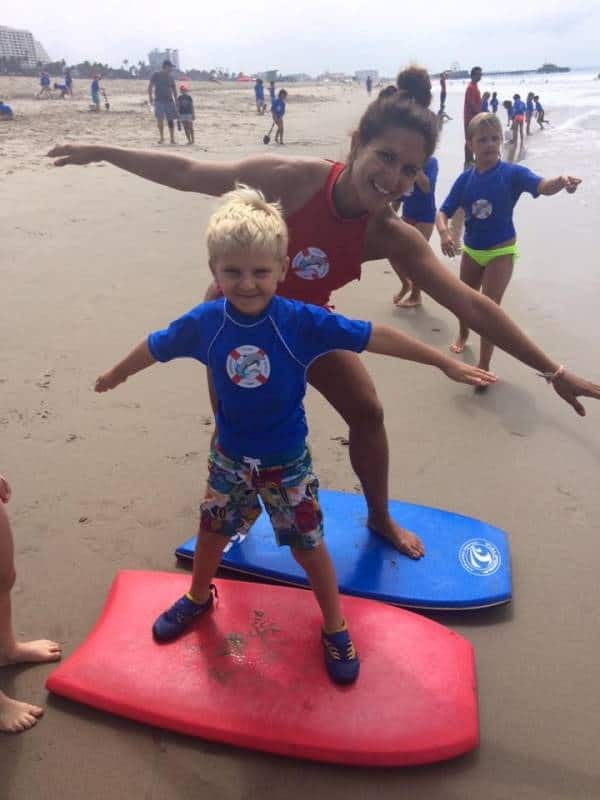 Campers had a blast boogie boarding and swimming at the water while they soaked in the sunshine!